So I'm a little late getting started this year, but I do have some WIPs to share. I'll be linking this on WIP Wednesday at Freshly Pieced. 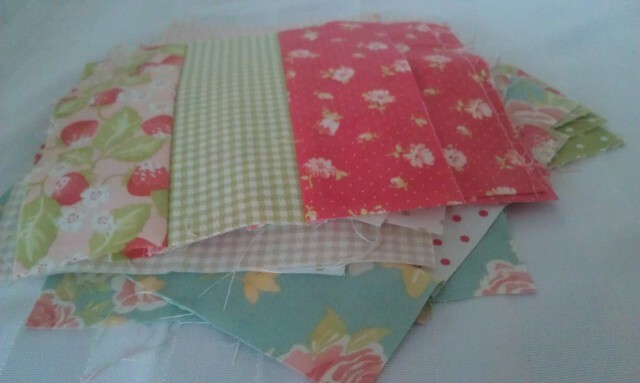 And turning them into these for a rail fence baby quilt. If you've read my blog much, you know i usually work with much brighter colours than this, but I picked up a jelly roll when I was in Vegas. I'm so jealous of you folks with any LQS that offers a good selection of precuts. It seems that there are many many bali pops around here, but that's about it. I want to make a sampler quilt and I'm trying to figure out what, exactly it'll consist of in the end. Also, I need to find a better way to take pictures than with my cell phone! Maybe I should just find my real camera. Additionally, between Christmas and New Year's, I made myself a Sony E-Reader cozy. 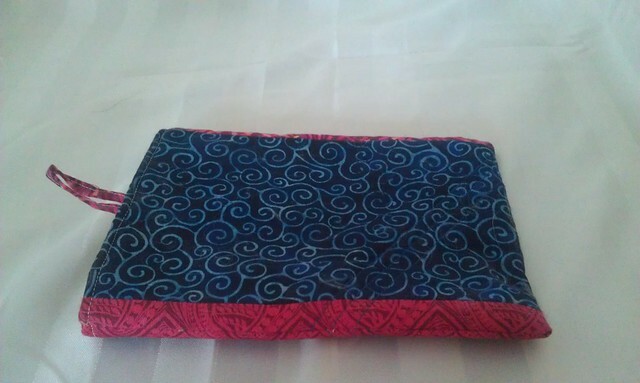 Mainly it was a test run for the Kobo sleeve I made for my Mother-In-Law. I have a bit of trimming that I apparently missed, but I made this with a bunch of scraps I had hanging around. I love the fabric inside, but figured that the yellow would just start looking dingy and dirty on the outside. It just needs a button for the closure and it's done. I wish I'd taken a quick picture before sending off the one I made for my mother in law, but I forgot. I'm not sure if she's going to take to the e-reader or not, but I hoped that giving her something pretty to store it in would make it more attractive to her. Hers turned out much better (and completely different) because I learned from this one that I don't completely know what I'm doing. 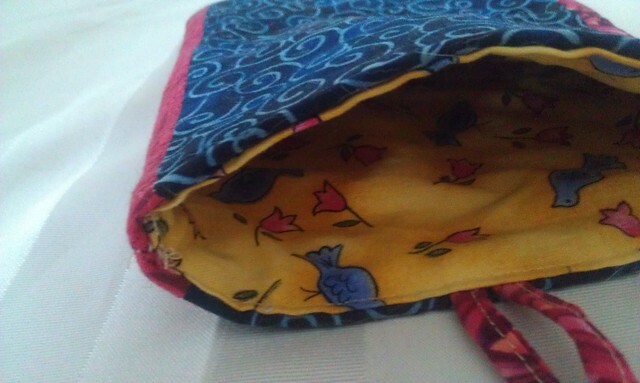 It looks good, but I got it all sewed up and realized I didn't know how to attach the lining to the exterior. I just had a complete brain fart and in the end, I was slightly rushed (had to be made that day) so I found a tutorial from moda bake shop and went with it. Back to basics for me?